It's only been three weeks since I posted my first attempt at a fight between Fruttare and Chunks o' Fruti. I meant well, but I kind of epically failed in my opinion. I knew at some point I would have a rematch, I just didn't expect market basket to replensih it's stock so soon, but they did. So, tonight, we're going with my favorite fruit treat flavor: strawberry. It's usually the hardest fruit flavor to mess up, it's tends to be nice and sweet, and now that I have both brands in the same flavor, it's a much fairer fight. Shiny bars are so hard to photograph. Hopefully you can still see the strawberry bits in both. I take a few bites of one, and then I take a few bites of the other, and for me, the difference between these two bars is night and day. One reminds me of a mild strawberry ice cream and the other reminds me of strawberries. Can you guess which is which? Yeah, it's the Chunks o' Fruti that actually tastes like strawberry. 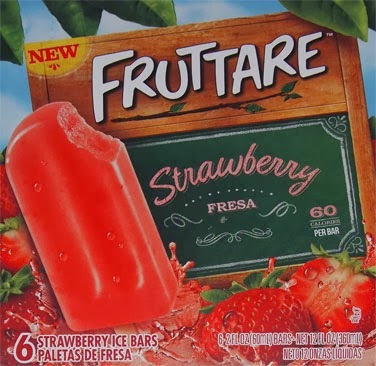 While the black cherry fruttare seemed more like a fruit bar, this strawberry fruttare reminds me much more of strawberry helados finos. And it's not just the taste, it's the flavor too. 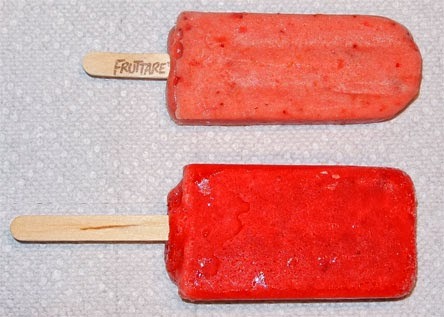 The fruttare has that bit of milky texture while the fruti is definitely an icy treat like a typical fruit bar. Actually, that's not fair to the fruti bar, it's better than that. All the little strawberry bits try to trick you into thinking that your eating a frozen strawberry. Maybe that's a stretch, but I'm definitely reminded of that strawberry real fruit slush from Sonic. 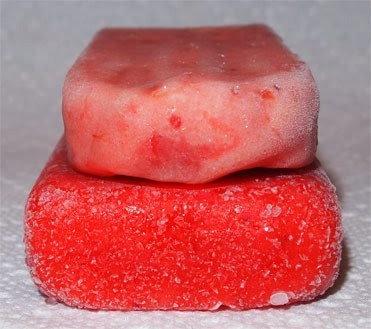 I tend to love frozen strawberry treats and I love when the treat really reinforces that strawberries are the most important ingredient. Ok, back to the fruttare. Now technically there are bits of strawberry in here too, but they just don't have the same impact. 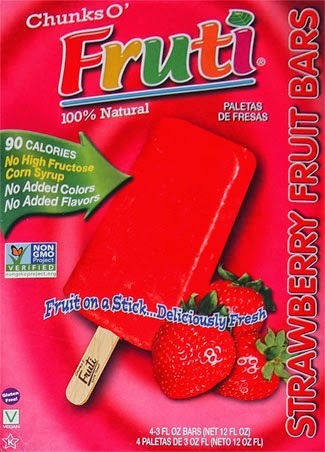 Strawberry is #1 in the fruti bar, but it's playing second fiddle in the fruttare bar. 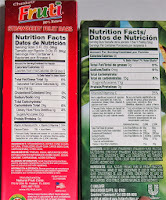 Put it this way, if I hadn't looked at the ingredients, I would swear there is some cream in these fruttare bars. I tend to get a bit baffled when treats are kind of caught between two worlds, they tend to not make a dent in either world. The scary thing is then, how drowned out is the fruit flavor in the fruttare strawberries and milk version? Ok chunks o' fruti, I declare you winner winner chicken dinner. Nice job. Now don't get me wrong, these are both fine products. 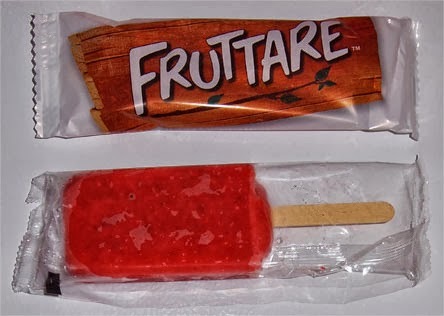 I'm sure there are still plenty of people out there who will prefer the fruttare bar. This one comes down to personal preference but now you can make that choice for yourself without having to pick up both boxes. Oh, and don't worry, there's no need for a round 3. I'm good. Thanks for reviewing the two bars head to head! I personally really love the Fruti bars way better than the Fruttare ones and that's not just because I'm associated with them. I found Fruttare bars to have a weird aftertaste that wasn't appealing and there are a lot of strange ingredients in them. 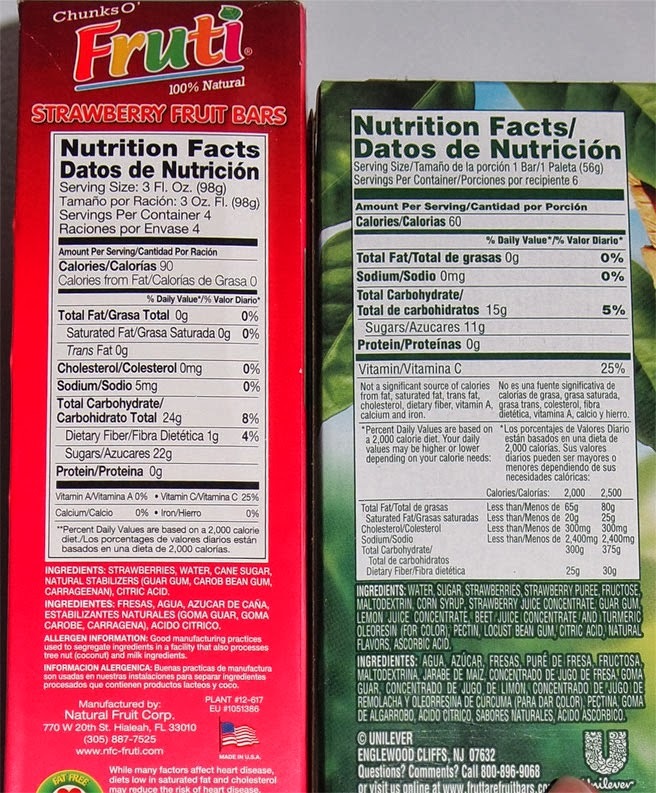 If other readers are looking to find out what's in a Fruti bar, you can look at the ingredients on their website. Most flavors are also non-GMO verified!